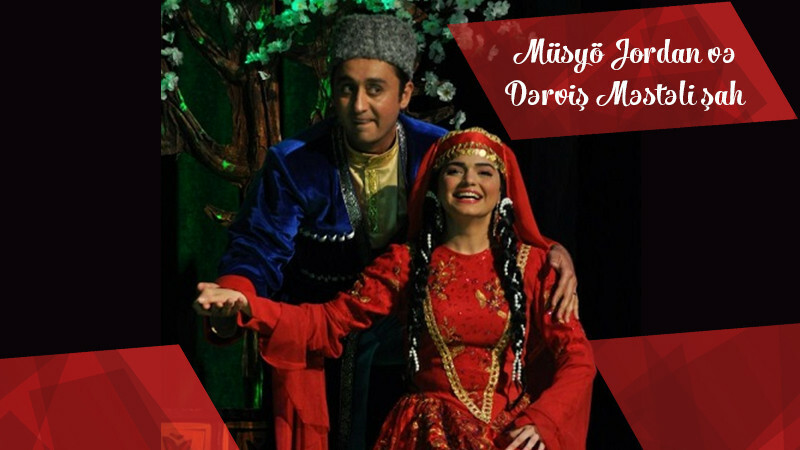 Monsieur Jordan and Dervish Mastali Shah in Azerbaijan State Youth Theatre of Young Spectators buy tickets online. Delivery of tickets for the event Monsieur Jordan and Dervish Mastali Shah. This famous comedy of Mirza Fatali is in fact about serious human relationships created by social conditions, as well as the controversy resulted by the difference in opinions and attitude. By allowing her son-in-law to go to Paris with Monsieur Jordan on the eve of his daughter's wedding, in fact, Hathamkhan agha causes a serious problem and conflict in his family. As a result, the lady of the house Shahrabanu,not bearing tears of her daughter Sharafnisa,finds Dervish Mastali shah with the help of her maid Khanpari to prevent Shahbaz bey's departure to Paris. Shahbaz bey’s dream does not come true as a result of “collapse” of Paris by this man’s spell (in fact, the Paris Revolution, the change of system) and the immediate return of MonsieurJordan to his homeland. The prominent playwright created game within a game, andpresented us the beautifulplay withfull of funny nuances as a mirror of the social environment. The theater in its turn presents it to the audience according to the requirements of today.